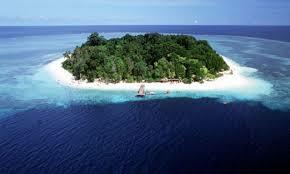 Sipadan is the only oceanic island in Malaysia, rising 600 metres (2,000 ft) from the seabed. It is located in the Celebes Sea off the east coast of Sabah, Malaysia. It was formed by living corals growing on top of an extinct volcanic cone that took thousands of years to develop. Sipadan is located at the heart of the Indo-Pacific basin, the centre of one of the richest marine habitats in the world. More than 400 species of fish and hundreds of coral species have been classified in this ecosystem. 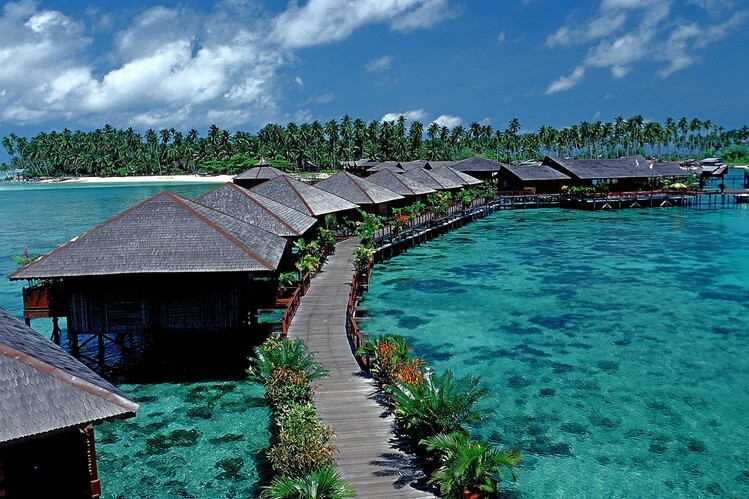 Sipadan Island was at the top of Rodale's Scuba Diving Magazine Gold List for 'The Top Dive Destination in the World'. In fact it shared its top spot with 2 other destinations known for the diversity of their marine life — the Galápagos Islands and Truk in Micronesia. Frequently seen in the waters around Sipadan: green and hawksbill turtles (which mate and nest there), enormous schools of barracuda in tornado-like formations as well as large schools of big-eye trevally, and bumphead parrotfish. Pelagic species such as manta rays, eagle rays, scalloped hammerhead sharks and whale sharks also visit Sipadan. A turtle tomb lies underneath the column of the island, formed by an underwater limestone cave with a labyrinth of tunnels and chambers that contain many skeletal remains of turtles that become lost and drown before finding the surface.